Special Containment Procedures: SCP-1401 has been permanently closed to civilian traffic as of ██/██/19██; construction of an alternate highway linking affected communities is pending. Permanent road barriers have been erected to deter automobile traffic; plainclothes security personnel are to surveil SCP-1401's termini to deter foot, bicycle, or motorcycle traffic from entering. All Foundation traffic along SCP-1401 for purposes of installing monitoring equipment, road maintenance, etc. is to begin and end during daylight hours only; in the event that any stay within SCP-1401 extends past the end of civil twilight, personnel are to park their vehicles and remain in position until dawn. No personnel are to travel along SCP-1401 during nighttime hours except D-Class undergoing testing. The Foundation is to monitor police communications in all regions where SCP-1401-1 is capable of manifesting for any report of vehicle activity indicative of SCP-1401-1. Foundation first response assets are to shadow any known SCP-1401-1 instances and document their movements and identities until such time as SCP-1401-1 demanifests or Mobile Task Force Kappa-101 ("Convoy") and Special Medical Unit 738 arrive on scene. No attempt to intercept or damage SCP-1401-1 is to be made without MTF Kappa-101 and SMU 738 support. In the event of an SCP-1401-1-related accident or an uncontained police interception, Class-A amnestics are to be issued to all survivors and first responders. Refer to addenda for information regarding disposition of SCP-1401-1 passengers. Description: SCP-1401 is a former stretch of U.S. Highway ██, initially paved during the first wave of transcontinental motor trail construction in the early 20th century. SCP-1401 stretches for approximately 112 km through rural and uninhabited areas of the state of [REDACTED], linking the cities of [REDACTED] and [REDACTED], and intersects no other roads or highways between those two termini. SCP-1401 exhibits no anomalous properties during daylight hours, and may be traversed safely. During nighttime hours, however, approximately █% of motor vehicles traveling along SCP-1401, regardless of whether they were traveling east or west, do not arrive at their destination and cannot thereafter be located by any means. Thorough surveys of SCP-1401 have located no trace of any wreckage or signs of accidents or collision. During tests conducted with D-class personnel driving from one end of SCP-1401 to another, onboard monitoring equipment has spontaneously failed during disappearances, and pursuing airplanes and helicopters have noted the test vehicle's headlights spontaneously deactivating concurrent with equipment failure, as well as instantaneous disappearance of the test vehicle's heat signature from onboard infrared imaging equipment. In tests where aerial pursuit was close enough to shine a spotlight directly on the test vehicle, no disappearances have occurred to date. Since SCP-1401 was closed to civilian traffic, 57 Foundation test vehicles and their personnel have disappeared within, as well as 3 non-test vehicles which remained within SCP-1401 after dark due to engine failure and subsequently attempted to return before sunrise. SCP-1401 does not affect airborne vehicles, foot traffic, or persons on non-motorized vehicles. Based on the nature of several instances of SCP-1401-1, it can be inferred that SCP-1401 has possessed its anomalous properties since shortly after it first came into service. 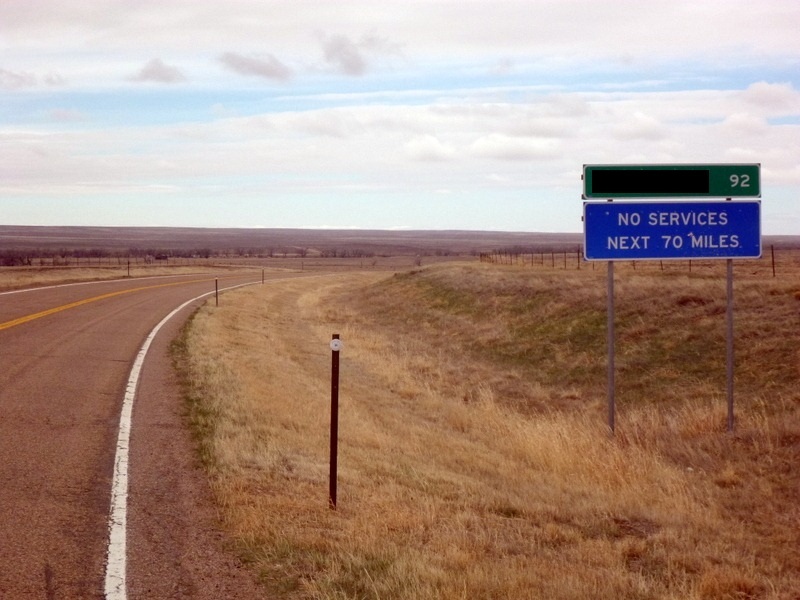 The Foundation became aware of SCP-1401 in 19██, when traffic along SCP-1401 decreased significantly due to the opening of Interstate ██, which bypassed it as an arterial road, and a correlation was first determined between disappearing motorists in the region and persons traveling along SCP-1401. SCP-1401-1 consists of several hundred anomalous motor vehicles, with license plates and physical descriptions matching those of vehicles known to have disappeared while traveling SCP-1401. 738 unique instances of SCP-1401-1 have been identified to date, 31 of which have been identified as former Foundation test vehicles. The oldest identified instance, designated SCP-1401-1-3, is a 1916 Ford Model T; the newest, SCP-1401-1-732, is a 2006 Toyota Camry formerly used as a Foundation test vehicle. The total number of SCP-1401-1 instances is unknown; based on the rate of occurrence and historical rates of traffic along SCP-1401, the total number of vehicles affected by SCP-1401 is speculated to be in excess of 10,000. 87% of SCP-1401-1 instances have been sighted within a 1000 km radius of either of SCP-1401's termini; however, SCP-1401-1 manifestations are capable of occurring in any jurisdiction that has paved roads, where motor vehicles drive on the right side of the road, and automobiles manufactured for the US market are legal for on-street driving. All SCP-1401-1 instances have been observed only during nighttime hours. Upon manifesting shortly after dusk, an instance of SCP-1401-1 will proceed to drive in no particular direction upon any highways, arterial roads, surface streets, alleys, or back roads legally open to civilian traffic, without parking or stopping except for traffic lights, stop signs, or as necessary to yield to traffic or pedestrians possessing the right of way. If not interfered with, SCP-1401-1 will obey all traffic laws applicable to the jurisdiction in which it is operating. No instance of SCP-1401-1 has ever been observed to refuel or make any stops of any nature. Close observations of older SCP-1401-1 vehicles have indicated extreme signs of vehicle wear and exposure to the elements, including rust, damaged tires, and indications of mechanical wear under which conditions the vehicle should not be drivable. On instances where older SCP-1401-1 vehicles have been approached closely enough to view within the cabin, drivers and passengers have been observed to be in an advanced state of age commensurate with the expected age of persons traveling in the vehicle at the time of its initial disappearance. SCP-1401-1 will demanifest shortly before dawn. The nature of demanifestation has never been directly observed; in all cases where police or Foundation personnel have shadowed an SCP-1401-1 vehicle, it has either eluded pursuit shortly before demanifesting, or spontaneously deactivated its headlights and disappeared from infrared monitoring similar to the disappearance of vehicles within SCP-1401. After demanifesting, an instance of SCP-1401-1 may manifest again, after civil twilight, in any region where it is capable of legally operating as described above; intervals between known manifestations of a given SCP-1401-1 instance have ranged from 3 days to 17 years. SCP-1401-1 vehicles will resist any attempts to pursue, intercept, or force it to a stop, and are capable of reaching speeds in excess of 300 km/h, regardless of the top speed of the original vehicle, until crashing or pursuers abandon the attempt. Attempts to fully stop SCP-1401-1 vehicles with spike strips, caltrops, or other anti-vehicle implements have been unsuccessful, resulting only in a brief loss of speed; as long as the vehicle remains intact and in contact with the road, it will continue to flee pursuers at high speed. No instance of SCP-1401-1 has lost control or been determined to have been "at fault" in a collision; in all documented instances to date where an SCP-1401-1 vehicle has been stopped, cause of deceleration was due to another vehicle deliberately or accidentally striking it or placing itself directly in its path. In all cases where an SCP-1401-1 vehicle was recovered, the gas tank was found to be empty. Older vehicles were found to have suffered several major engine failures, which under normal circumstances would render automobiles inoperative, and attempts to restart said vehicles after recovery have been unsuccessful. To date, 37 SCP-1401-1 vehicles have been successfully stopped during pursuits by Foundation personnel or civilian first responders. In 23 instances, the stop was achieved by means of a direct collision, with no survivors onboard the SCP-1401-1 vehicle. Following the development and implementation of Procedure 1401-1-Delta, which involves reducing SCP-1401-1 velocity with spike strips and by "grinding" pursuit vehicles against its side prior to forcing a spinout with a modified PIT maneuver, 14 vehicles have been recovered with minimal collision-related injuries to passengers onboard. In all cases where identification has been possible, the identities of passengers have been matched to those of persons known to have been traveling in SCP-1401-1 at the time of its disappearance. Passengers have been designated based on the vehicle they were recovered from and their seat position clockwise from the driver's seat. In almost all cases wherein SCP-1401-1 passengers were recovered alive, the passengers died less than 60 minutes after SCP-1401-1 was stopped. Apparent biological age of passengers is commensurate with their presumed age given known dates of birth. Passengers display acute signs of dehydration, starvation, bedsores, deep vein thrombosis, and other symptoms consistent with advanced age and with remaining in a stationary position for long periods of time without exercising rudimentary bodily functions. Death occurs as a complication of these circumstances. In several cases, passengers were found to be in the advanced stages of fatal communicable diseases which contributed to their death. Two subjects, SCP-1401-1-237-3 and SCP-1401-1-654-1, were pregnant at the time of recovery; medical records indicate that both subjects were pregnant at the time of their disappearance in 1973 and 1922, respectively. Fetuses showed signs of advanced age and illness commensurate to adult passengers and did not survive. In 20██, Special Medical Unit 738 was established for the purpose of responding to SCP-1401-1 events and performing on-site emergency medical treatment for SCP-1401-1 passengers in the hope of recovering passengers alive. To date, 12 passengers have survived past the 60-minute mark. Two, SCP-1401-1-332-1 and SCP-1401-1-702-3, are conscious and able to speak; both, however, are confined to bed rest due to severe muscular atrophy and require 24-hour nursing care at this time. 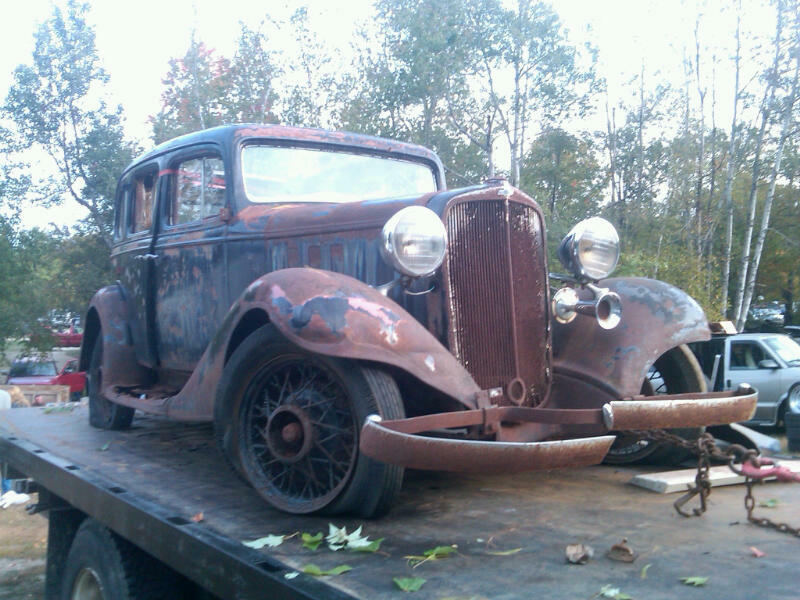 Foreword: SCP-1401-1-332-1, Adam ███████, disappeared with his wife and two children in June 1932, while driving west along SCP-1401 in a 1928 Ford Model A. ███████'s vehicle was first identified by the Foundation in 19██ and designated SCP-1401-1-332. SCP-1401-1-332 was recovered intact following a pursuit on ██/██/20██. SMU 738 was unable to save any passengers except for ███████, the driver. ███████'s biological age, based on medical examinations and birth documents, is presently 1██. Due to injuries noted at time of recovery, ███████ is unable to walk or stand under his own power and frequently requires supplementary oxygen in order to breathe. Dr. Samesh: How are you feeling today, Adam? Adam: I've been better. Sure is good to stretch out my legs again. Dr. Samesh: Can you tell me how long you were driving for before the police stopped you? Adam: Well, we left [REDACTED] at half past nine, on our way out to California. We were driving at night to beat the heat and the dust, you see. Sun didn't ever come up, so couldn't have been more than six or seven hours, I guess. No clock in there, and the radio's busted. Sure felt like years, though. Dr. Samesh: How far did you drive during that period? Adam: Lost track. The odometer must have rolled over three or four times. Dr. Samesh: Did you ever reach California? Adam: Sure. Kept drivin'. Didn't like the look of the place. Dr. Samesh: You must have needed to refill your gas tank at some point, yes? Adam: Never needed to. Good thing, too - it was 10 cents a gallon back home, but some of the stations out here, you wouldn't believe how much they're charging. Dr. Samesh: Did you ever stop to eat, or use the facilities? Adam: Wasn't really that hungry. None of the restaurants I've seen around here look very good, anyway. Dr. Samesh: Did you stop at any time for any reason? Adam: Why bother? We were making great time. Nowhere any good to pull over, anyway. Dr. Samesh: Did you notice yourself or your family aging during the trip? Adam: Yeah, I guess I've got a few more wrinkles now than I used to. And the boys… well, they say kids grow up in the blink of an eye, but I wasn't expecting it to happen that fast! Dr. Samesh: Why did you attempt to evade pursuit when the police turned their lights on? Adam: Don't make me out like I'm some kind of crook. I wasn't trying to "evade pursuit" or anything like that. I just didn't feel comfortable pulling over in that neighborhood. Dr. Samesh: You continued to lead the police on a chase for 238 miles1, across three states, before you were forced to stop. Were there no acceptable places to pull over at any point during the pursuit? Adam: Didn't see a one. I'm not so sure about this place, either. Dr. Samesh: What would you have considered a good place to stop? Adam: If there is one, I haven't seen it.